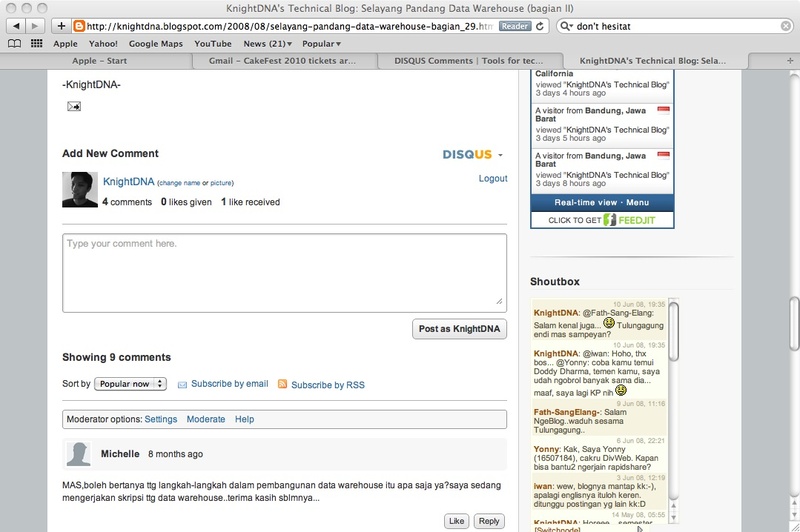 Actually, I also want to activate Disqus on my personal blog too, but unfortunately, I could not use Disqus plug-in on it, as my blog is not a self-hosted Wordpress blog (knightdna.wordpress.com). 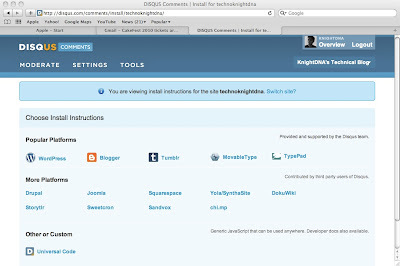 So now, in this post, I will give you a simple way to activate Disqus as your Blogger comment manager. 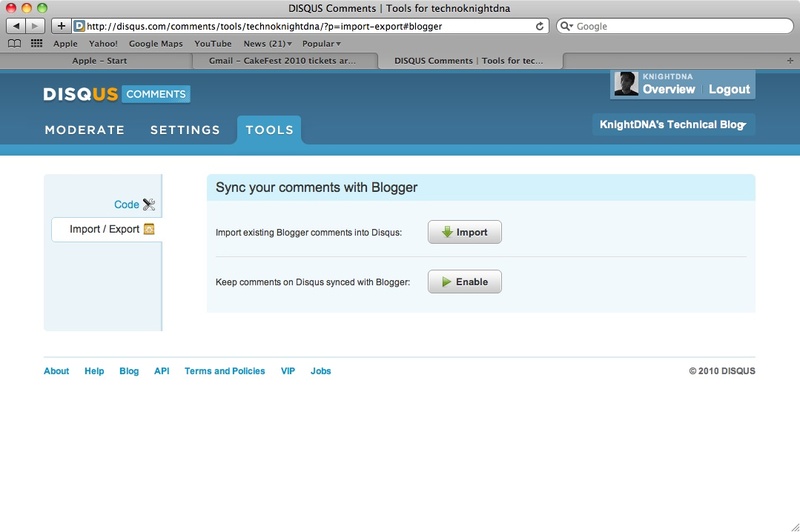 But, before I go further, make sure that you've already signed up a Disqus account. 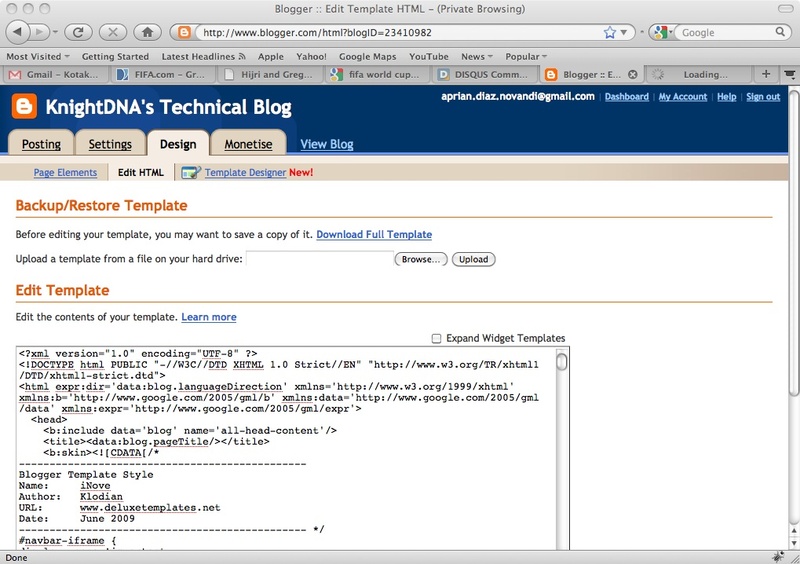 Download the HTML template of your blogger into your computer. Register your Blogger blog into your Disqus, by adding the blog in Disqus Settings. You can go to that page by hovering your default blog (2nd item on top right of the page), then clicking "Register a New Site". 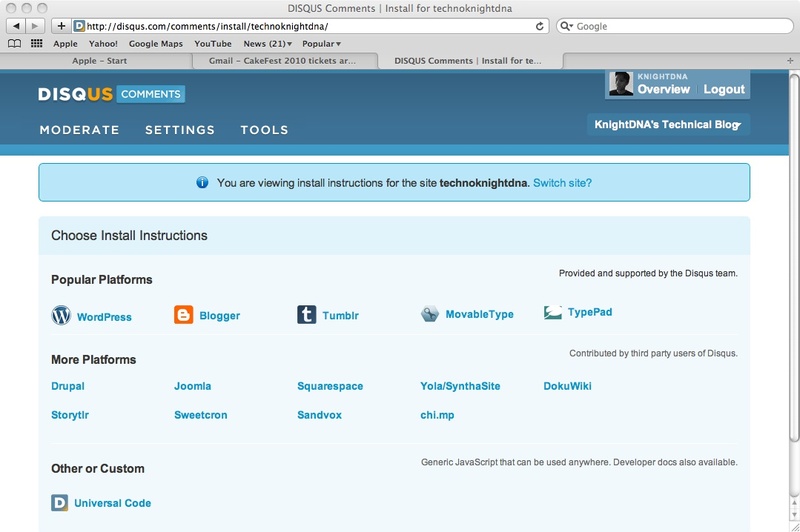 You can also go directly to http://disqus.com/comments/register. 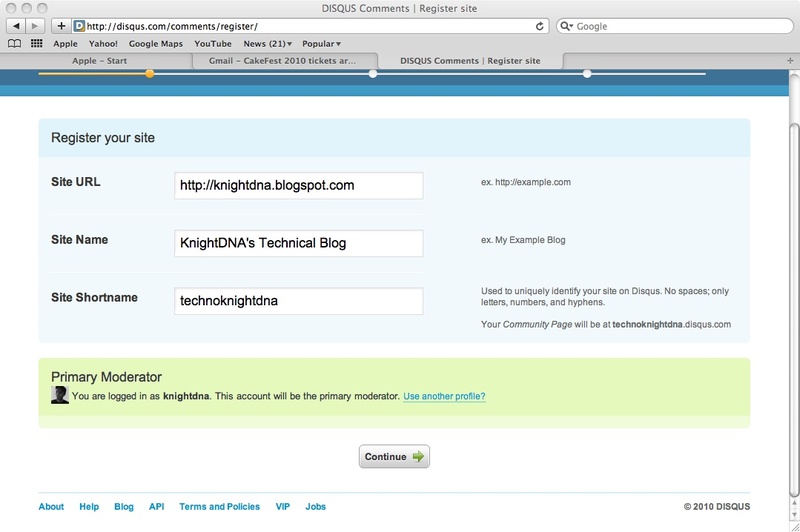 Add the link of your blog, and don't forget to fill the form input, esp. Site Shortname, because it's the unique identifier for your blog comments. 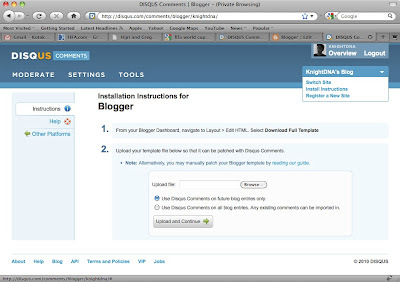 Hover your default blog (2nd item on top right of the page) then click "Install Instructions" (it's the same as step 2.0, but now you have to choose the "Install Instructions" action). Choose "Blogger" as the platform. Upload your downloaded template (result of step 1.0). 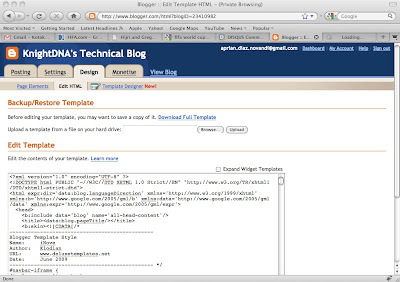 Paste the patched template into HTML template of your blogger, and then save your template. 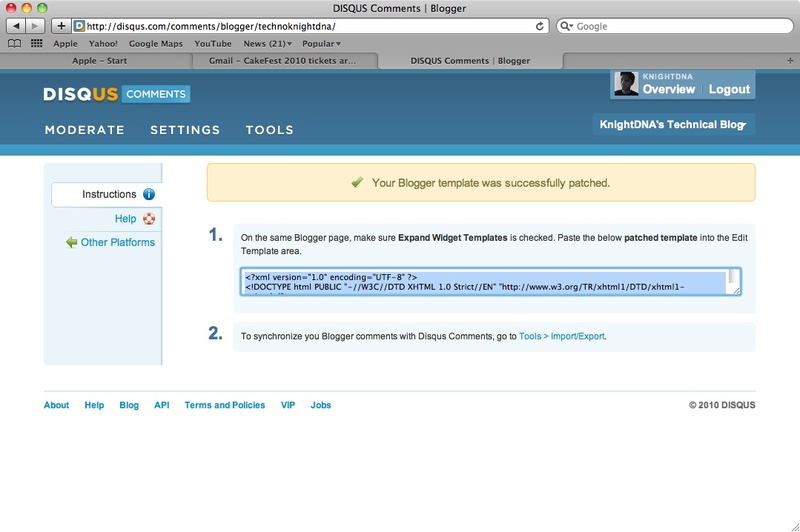 Don't forget to synchronize your current blogger comment. Click "Import" and wait until it's done. Don't worry if all comments on your blog aren't directly synchronized, because the synchronization works on the background process, and you will be notified if the process has been finished. 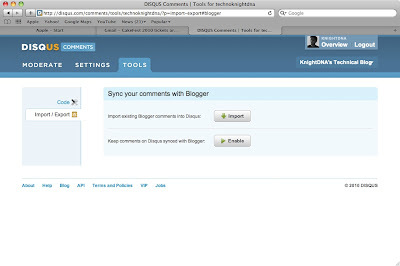 You may also keep Blogger and Disqus comments synchronized by clicking "Enable", and follow instructions on further step (actually, it's Disqus access granting on Blogger). And here at last... 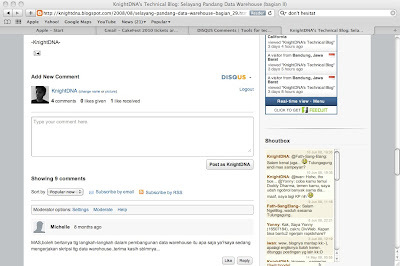 Enjoy your new comment management on your blog. That's all the steps to use Disqus for your blog comment management. Hopefully, this post is useful for you. Do not hesitate to leave your comment here if you find trouble, or perhaps just correcting my post. Thank you very much for visiting my blog, and have a nice day! ;) .